It flooded the whole ocean to the westward, right up to the very zenith, with a wealth of opalescent light that transformed sea and sky alike into a living glory, so grand and glorious was the glowing harmony of kaleidoscopic colouring which lit up the arc of heaven and the wide waste of water beneath, stretching out and afar beyond ken. Aye, and a colouring, too, that changed its hue each instant with marvellous rapidity, tint alternating with tint, and tone melting into tone in endless succession and variety! From an early hour of the morning the wind had been constantly veering and shifting, showing a strong inclination to back; and now the sea was getting up and the white horses of Neptune had already begun to gambol over the crests of the swelling billows, which heaved up and down as they rolled onward with a heavy moaning sound, like one long, deep-drawn sigh……. 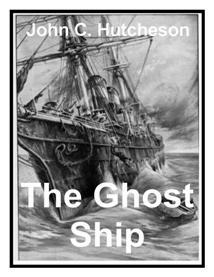 Read this entire adventerous tale of the unknown in PDF format for just $1.00!